A con man. An immortal demigod. A chance at love that could save the universe. In the far future, interstellar con man Anais Cavere takes the job of his life to impersonate his hero, immortal demigod Barenin Lyr. But his job as contract king to an unstable world takes a dangerous turn when he learns it was his hero who hired him. Barenin sweeps Anais into a web of cosmic intrigue with consequences spanning the universe. And genderfluid Barenin, while she's at it, might also sweep Anais off his feet. 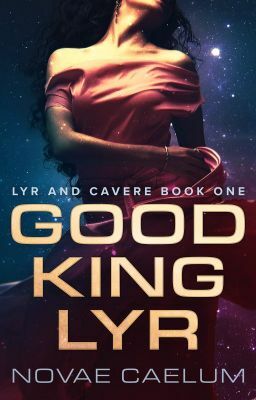 Good King Lyr is a slow-burn, genderfluid, ownvoices romance! ❤ --------- This books is COMPLETED! The Lyr and Cavere series is a parallel series to The Emperor of Time (now posting weekly in a revised version), and can be read before, after, or alongside it. Cover disclaimer: Individuals depicted in the images are models and used solely for illustrative purposes.